Have you met Paper Pumpkin? 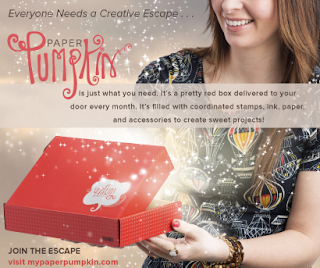 This is the new monthly kit subscription from Stampin' Up! and it is awesome! The idea is like Cinderella's pumpkin carriage: A little red box arrives on your doorstep once a month to whisk you off for a 30 minute creative escape! :) It could be a set of cards, a home decor item, a journal... Each kit has everything you need for one project. You just need to supply the adhesive. I made a video that goes over what you need to know before you subscribe. 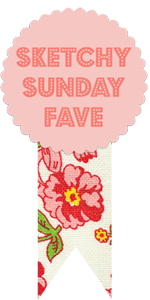 I very highly recommend checking it out! The video also walks you through the Welcome Kit, which is what you'll receive your first month. Sign up by May 10th and you'll get your Welcome Kit in May! If you're interested, you can watch the video below, or over on my YouTube channel. Then head over to the Paper Pumpkin website to sign up! And since the kit comes with everything you need to complete your project except adhesive, here are some suggestions for the adhesives you may wish to have on hand to complement your Paper Pumpkin subscription.